Clues decide to peek out from their hiding places when they please. All you can do is to try to put yourself in the likeliest position to glimpse them. In early May the Bankoff brick wall finally began to give way, and it wasn’t from throwing various spellings of Bankoff at every database I could find, or desperately tracing the few Bankoff relatives I had found. 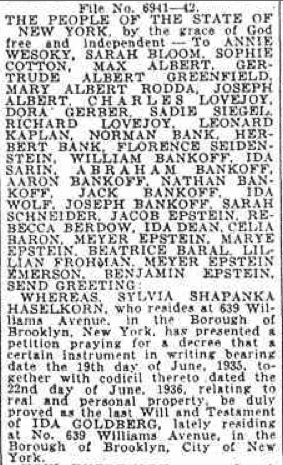 While searching an index of NY newspapers for my Wesoky line, I found this probate announcement, listing sisters Annie Wesoky and Sarah Bloom, whom I knew, followed by tons of other people, Bankoffs included!!!! !, whom I had never heard of. I went to Brooklyn Surrogate Court the next day, and the probate file confirmed that the deceased was another of Annie’s sisters mentioned on the back of that photograph. In fact, the hundreds of pages laid out five generations of Bankoffs, more than fifty people in total, with all their relationships to each other (see below). I learned that my great-grandmother and her five sisters were among the nine children, including two or three sons (surprise! ), who came over to the US around 1880-1890. I had all of their addresses for the early 1940s. I even learned that their mother, Mary, also immigrated, and was buried in Brooklyn not ten yards from a Wesoky great-great-grandfather I had visited a year prior! 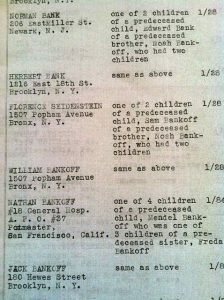 With all these new names, I located cousins via the JewishGen Family Finder, who shared with me the sad history of their (grand)mother, who grew up in an orphanage because her mother, Annie’s sister Jennie, was mentally ill. Fascinating as these stories were, they didn’t advance my research interests — or so I thought. But our conversations encouraged one of these cousins to write away to the National Archives for Jennie’s immigration records. I didn’t expect anything — women in that time period didn’t naturalize, and even if there were records, in that early period they were unlikely to give a place of origin any more specific than Russia or a date that correlated to an actual ship landing in NYC. I was right that there was no paperwork in the file related to her first arrival. But there was a second arrival in 1922, when she returned to the US to live with Annie after spending years in Canada with her second husband. Jennie wasn’t just an unfit mother, it turns out. She was so unstable that within months the Bureau of Immigration “recommended that the alien be deported to Canada on the grounds that she was likely to become a public charge.” Her file contains assessments of her poor mental state from administrators at the various asylums and charities on both sides of the border which had attempted to take care of her. Most revealing of all was Jennie’s testimony before the immigration officials. 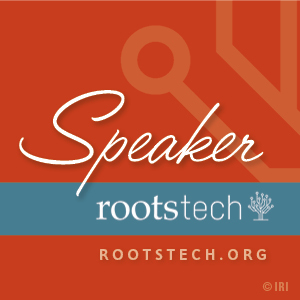 She told her whole life story, starting at the very beginning… the town where she was born… the town whose name I had been working for years to discover: Lachovitch! Yes, Lachovitch, aka Lyakhovichi, aka Lachowicze, home of the Sanel Bankov I had given up on! I took another look at the evidence and saw that the pieces fit. Sanel may have been in his fifties when Annie was born, but Mary was in her mid-forties, and the other siblings’ birth years showed that Annie was one of the youngest by at least two decades. The age of Nevakh, Sanel’s son, matched up to Annie’s brother Noah, called Noach on his ship manifest. Now that I could reasonably claim Sanel as my own, his father and grandfather named on the Lyakhovichi records took me back to my great x 4 grandfather Mendel born in the late 1700s, the earliest ancestor in my entire tree! Where I had once known the least, now I knew the most! Overcoming assumptions: I was so sure what I would find in Jennie’s file that even if the idea had been recommended to me, I would have ignored it. Cultural knowledge: To reconcile the Netanel/Sanel mystery, I needed knowledge of Yiddish vs. modern Hebrew pronunciation. Clues in handed-down artifacts: The inscription on the photograph led me to Sarah’s name, which got me to Minsk, which led me to the Lyakovichi records. Being prepared for serendipity. 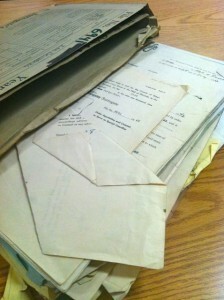 When I went looking for Wesokys, I found my missing Bankoffs, and when I went to fetch the Bankoff probate file, I found more on the mystery of my ill-fated Davis great-great-grandfather‘s death, which I wrote about last week! This entry was posted in Research Expeditions by Tammy Hepps. Bookmark the permalink.